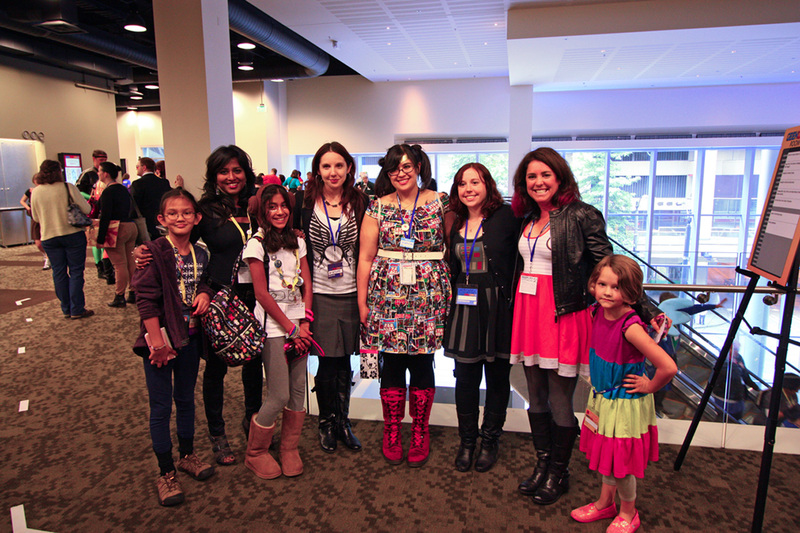 In its third year, Seattle’s GeekGirlCon highlights what fans can accomplish when they put their hearts and minds into a passion project. The convention, which is run by fans for fans, sold out before the doors opened. My experience with GeekGirlCon exemplifies the best thing about conventions: getting to meet new people — specifically, in my case, lots of new Star Wars fans. Last year, I organized and moderated a panel on the female characters of Star Wars. 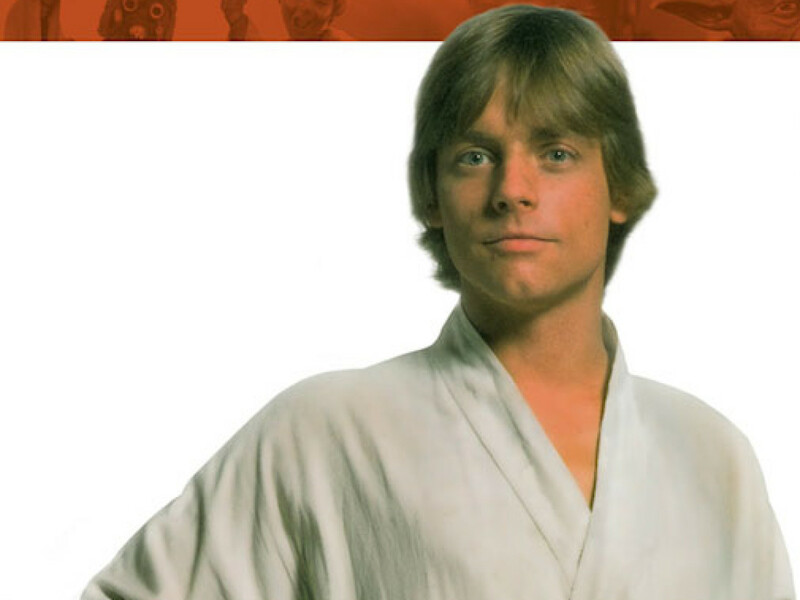 We used fairy tale archetypes to discuss characters found in a galaxy far, far away. 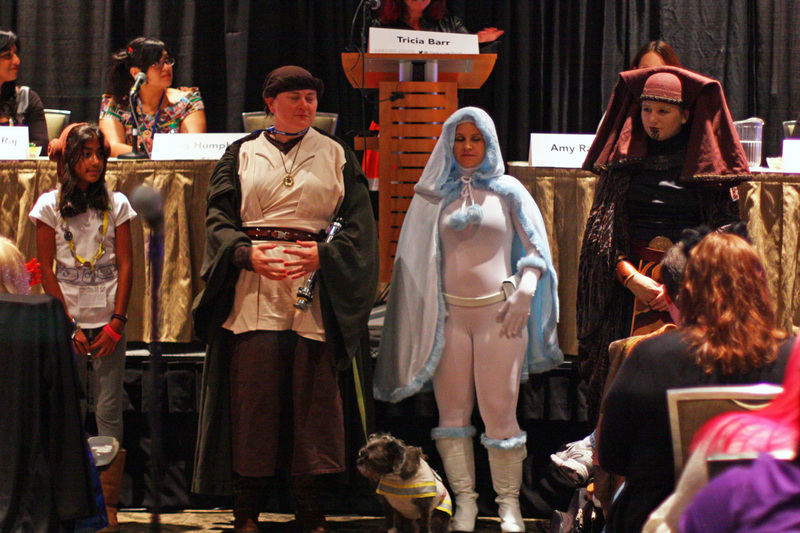 From Jedi princesses to Sith witches and even the Everyperson, that panel had plenty of great characters to discuss. 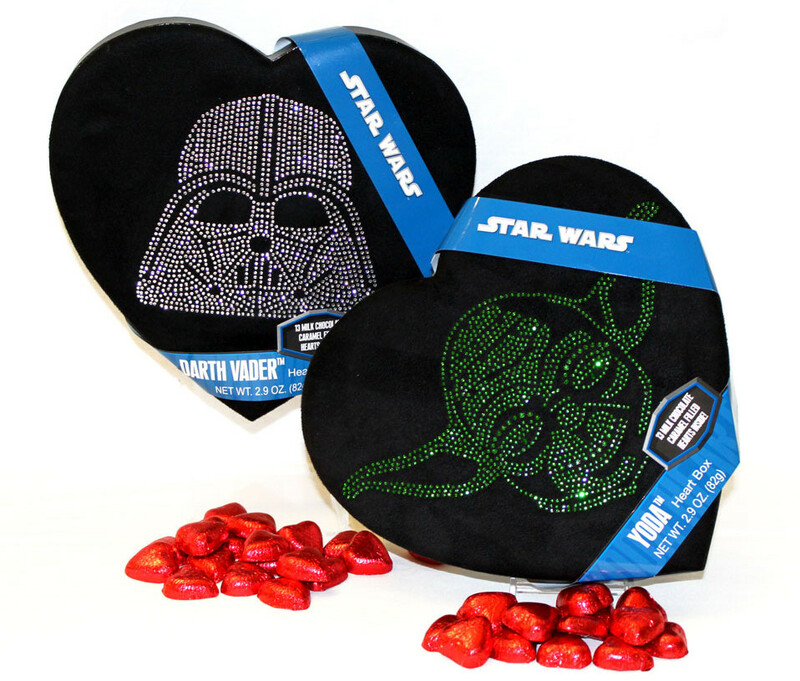 At the time, though, none of us knew Disney was destined to become part of Star Wars’ future. Even without that knowledge, the convention’s attendees showed significant interest in the panel on Star Wars’ female characters: it was standing room only inside the room, with many not making it inside. Back in the spring as I put together my proposal for a Star Wars panel for this year’s convention (October 19-20, 2013), I recognized it would be held in a time period of much excitement about the future of Star Wars, yet when little would actually be known about the specifics of what’s ahead. This dynamic isn’t unfamiliar to fandom in the Internet age, though. Having experienced it about a decade ago, I thought back to the days when the Star Wars franchise was ramping back up again with the news of Episode I, and later the productions of Episodes II and III. 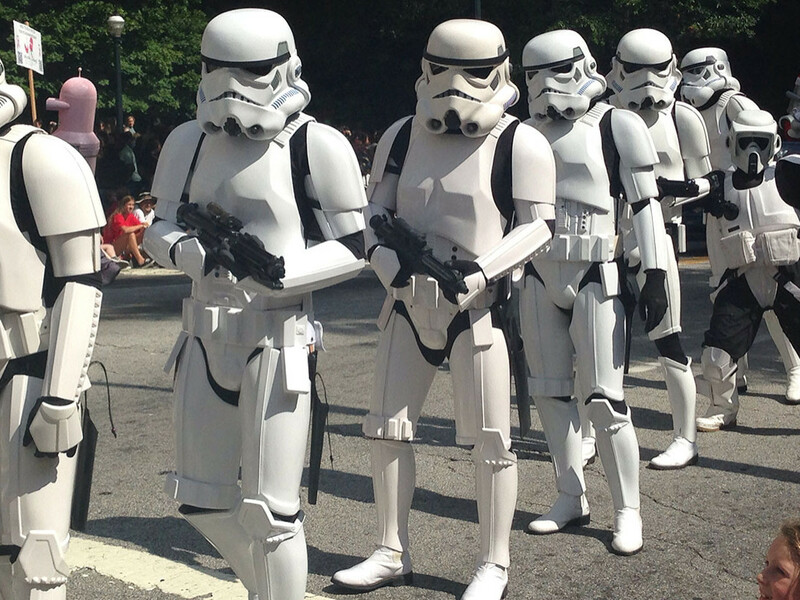 On message boards and other websites, millions of new Star Wars fans were joining the community. I was rejoining the fandom in earnest then, too. Recalling that exponential growth of the fandom, the two biggest questions that new fans asked back then were “Where do I meet other Star Wars fans?” and “How can I find updates on the movies or television shows?” I knew instantly that I had my topic for this year’s panel. Then I found some of the brightest Star Wars fangirls I know and asked them to share their knowledge. The panel included Amy Ratcliffe, who has written for the Star Wars Blog and Star Wars Insider, Lisa Granshaw from NBCToday.com and The Daily Dot, and Linda Hansen-Raj, who has interviewed Star Wars VIPs including James Arnold Taylor and Drew Karpyshyn for FANgirl Blog. In a fortuitous turn of events I was introduced to GeekGirlCon staff member Meg Humphrey, who has hosted Star Wars panels at Sakura-Con and made a perfect addition to the slate of panelists. The panel was held in the main room on Sunday with great attendance. The panelists shared their wisdom on how to meet other fans — Twitter was the resounding favorite answer — and where to find up-to-date information — StarWars.com, of course. A full recap is available at FANgirl Blog. 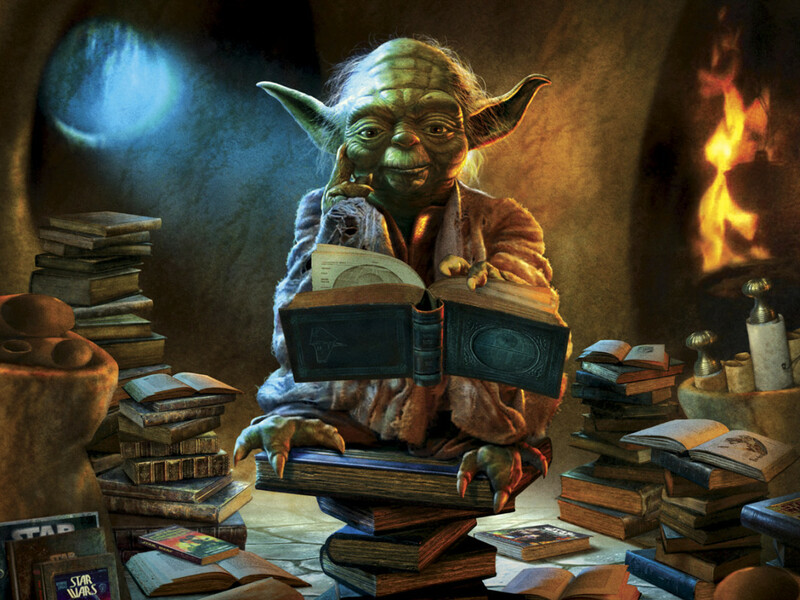 For those who are new to Twitter, Star Wars Bookworms host Teresa Delgado and I created a short podcast about how to get started. 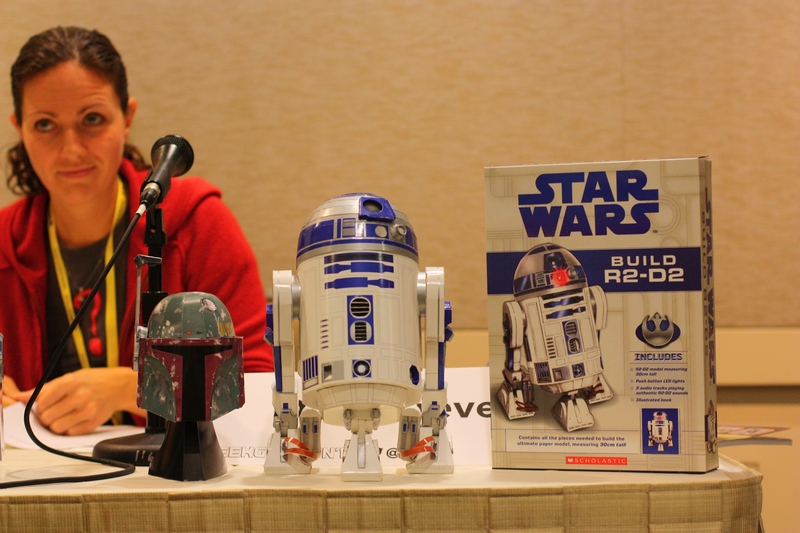 Sunday’s panel was far from the only place at GeekGirlCon to find fans sharing their Star Wars love. On Saturday I met several women who had come to the fandom before the movie Star Wars hit the screen in 1977. It was a fun history lesson to learn about their experiences participating in fanzines. 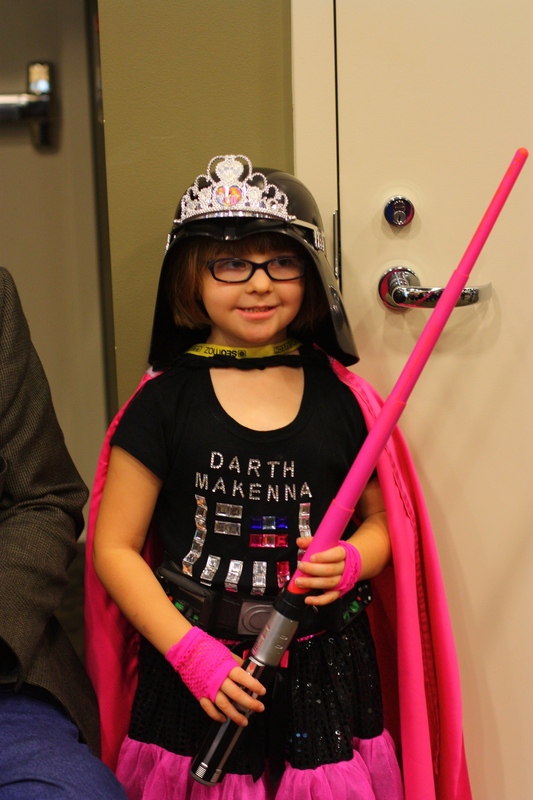 Last year’s costume contest winner, Darth Makenna, whipped her pink lightsaber to cheers from the crowd in this year’s contest. 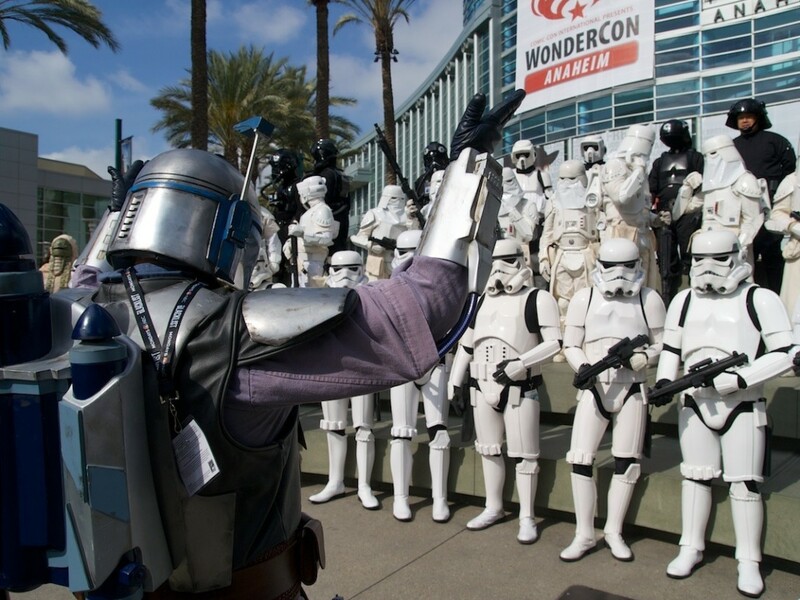 Members of the Garrison Titan of the 501st and Alpha Base of the Rebel Legion were on hand at their table throughout the convention. Deunan Berkeley reached out to GeekGirlCon and offered to greet the arriving Star Wars panel audience as Jedi Master Luminara Unduli. She has recreated the costume in loving detail, and was rewarded with a second place at Celebration VI for it. Several other cosplayers came forward to display their handiwork with the audience, too, and the panelists agreed that cosplay is one of the many great ways to enjoy the fandom. Meanwhile, at the back of the room, Boba Fett and a Stormtrooper stood guard. Luckily no one tried to flee the room and no disintegrations were necessary. 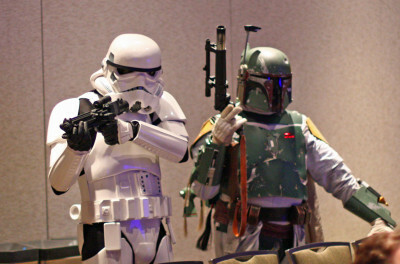 Star Wars and its fans were featured throughout the convention. 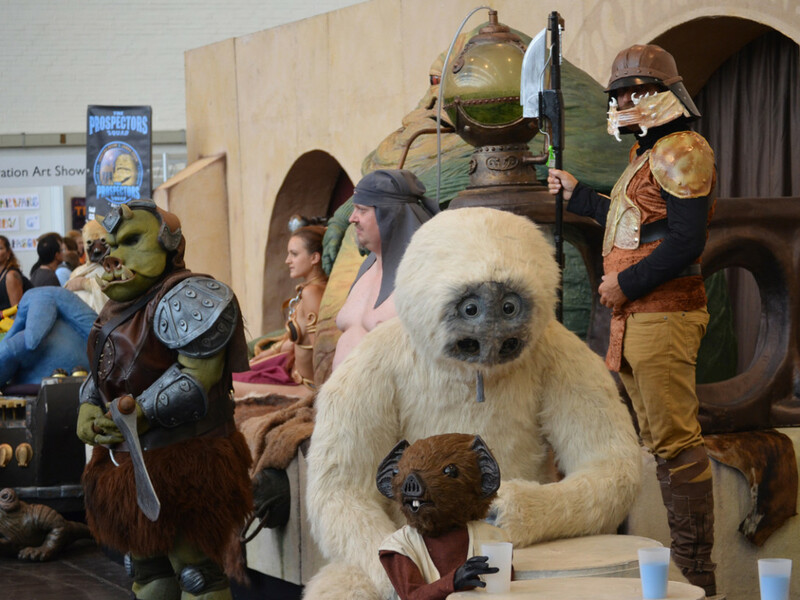 Dr. Andrea Letamendi, who has appeared on the popular Star Wars versus Star Trek panels at San Diego Comic-Con, hosted a panel on the psychology of cosplay. Screenwriter Javier Grillo-Marxuach hosted the discussion Deconstructing the Mary Sue Myth. 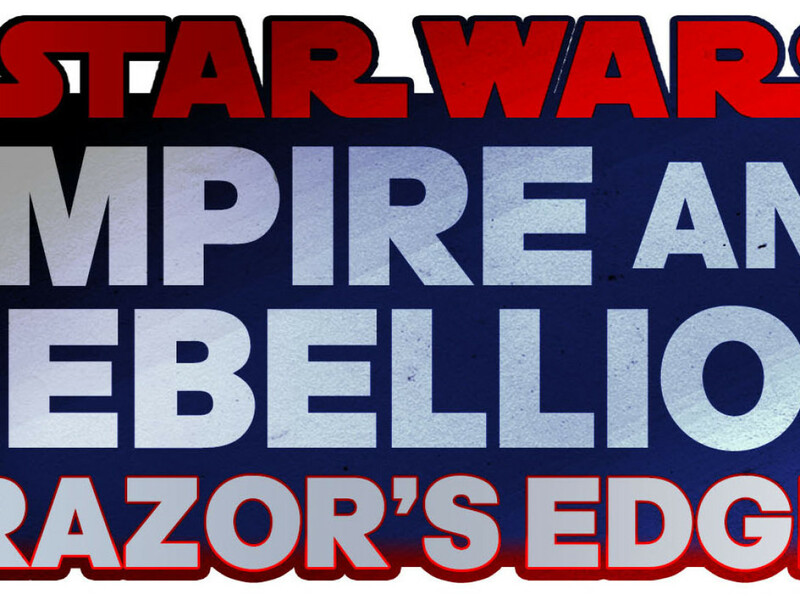 Edge of the Empire was one of the roleplaying games featured for live play hosted by The 8-Hour Gamer. And publisher becker&mayer! presented several of the crafting-centric titles, including the impressively intricate Build R2-D2 papercraft. Without a doubt, a good time was had by all at GeekGirlCon. Next year’s convention is already scheduled for October 11-12, 2014, in Seattle. It’s a fun and safe, relatively small convention to dip your toes in, if you haven’t had the chance to attend one yet. I hope to see you there. Photos are courtesy of Joanne Perrault. Tricia Barr writes for Star Wars Insider, Suvudu.com and her own FANgirl Blog. 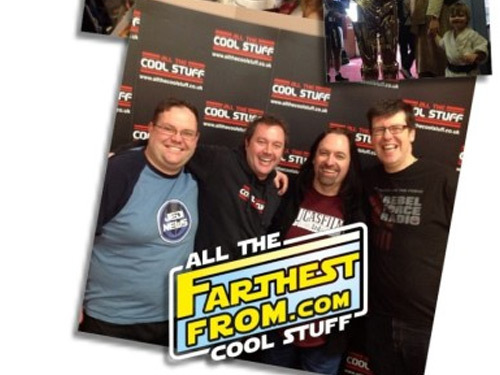 She also co-hosts Fangirls Going Rogue, a monthly podcast for Star Wars fangirls presented by RebelForce Radio.